The updated Success Corporation shoot 'em up. 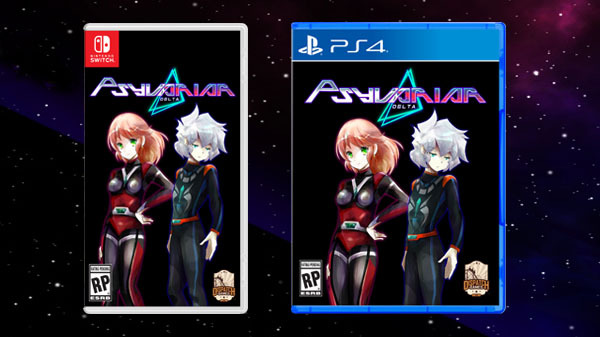 Dispatch Games will release Psyvariar Delta physically and digitally for PlayStation 4 and Switch in North America and Europe this summer, the company announced. Psyvariar Delta is an enhanced version of the Success Corporation vertical scrolling shoot ’em up up Psyvariar Revision. First released in arcades in 2000, this enhanced version of the classic shooter retains the classic Buzz system that lets players enjoy the thrill of leveling up by avoiding direct hits and evading enemy attacks just enough to graze their planes. New Mode – Players can now set their stage, planes, levels, and experience. In the Replay Mode+, a player can challenge each area with their own plane and bombs. Score Attack Mode allows a player to play for the high score with their difficulty. Both modes will have an online leaderboard to show how you stack up against other players. New UI – The new UI shows Ex levels, boss health, and invincible time remaining after leveling up. The new design is easy for beginners to understand while the information helps experts as well. In the options menu, a player can show the hit area for their own plane and their enemies so that the game can be adjusted based on the players level of play. New planes – Along with the 2 original planes, there will be new planes available as DLC which bring all new original attacks. These DLC can be used on all levels allowing players to have a different game play experience. If you missed it last week, catch the first information and screenshots here. Physical edition pre-orders are available now at the Dispatch Games Online Store. It will also be available at retailers. In Japan, Psyvariar Delta is due out on August 30.